Welcome to City of Newport Swimming and Waterpolo Club. Home to Newport's top club for swimmers. The City of Newport Swimming and Water Polo Club is a competitive swimming club which is affiliated to Swim Wales. Above all the club prides itself on providing a safe, enjoyable, stimulating and challenging environment for all swimmers whatever squad they attend. The club has 9 squads ranging from Academy where swimmers at Stage 7 from the ASA National Plan for Teaching Swimming (NPTS) are coached to improve their stroke technique, swim speed and stamina thus increasing fitness, through to National Performance Squad where our elite swimmers train over 10 sessions per week and compete in National and International events including Para-Swimming. The City of Newport Swimming Club is one of the top five competitive swimming clubs in Wales and a fully affiliated member of Swim Wales. The club has three professional coaches and a team of fully qualified volunteer coaches who look after the nine swimming squads and two water polo teams. The squads train at the Regional Pool located in the International Sports Village, Newport, Newport Leisure Centre and Active Living Centre in Bettws. If your child would like to improve, with their hard work and our coaching skills we can help you achieve that goal. Above all the club prides itself on providing a safe, enjoyable, inclusive, stimulating and challenging environment. Whatever your standard we have a squad for you. Tokyo 2020 Paralympic Games are in sight. Congratulations to all of our City Of Newport Swimming stars who competed in the Western Regional Final of the National Arena Swimming League at Newport International Sports Village, and also to those who have helped us to achieve this in rounds 1 & 2. Take your skills to the next level with Water Polo! Be part of a growing team and compete against others in a new and exciting league. Find out about the City of Newport squads and the stages and criteria we use to ensure the potential of each swimmer is realised. For all other results see gala in Calendar or Meet Information. For all other Confirmed entry lists see gala in Calendar or Meet Information. 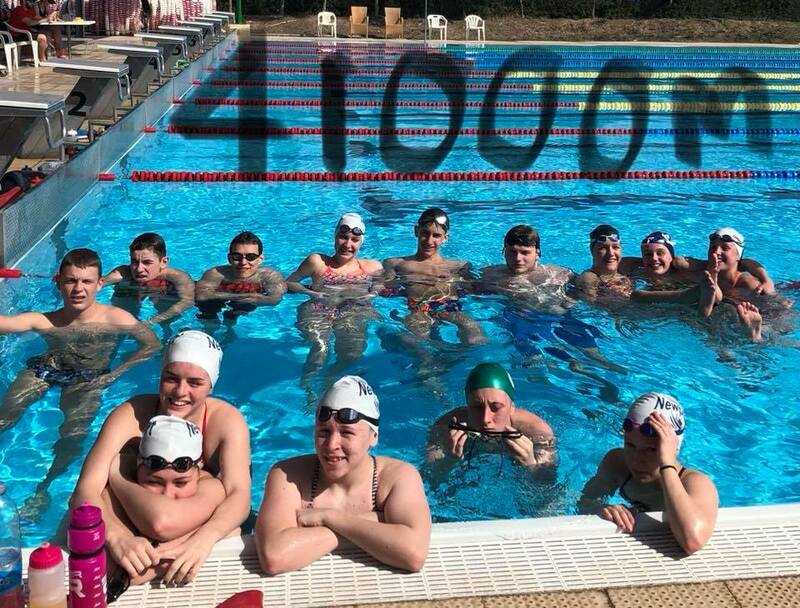 Between 17th-24th February 2018, a team of 17 swimmers and 3 staff travelled to Cyprus to undertake intensive training. The accommodation and training package were arranged and supported by Arena Sports Division (Paphos) at the resort. The team stayed again at the Coral Beach Hotel and Resort in Paphos which was the official training venue for the Great Britain Olympic team prior to the 2004 Athens Olympic Games and is now regularly used by numerous National and club teams from all over Europe. The hotel’s 50m outdoor Olympic Pool is built within the grounds of the resort and is only used by visiting teams and professional athletes. The team had an extremely successful training camp with excellent facilities and support from all staff at the hotel, Arena and Sports Abroad. The City of Newport Swimming Club would highly recommend this as an intensive training venue and look forward to taking more swimmers to Paphos in future years. The Club are very grateful to the Cyprus Tourism Organisation (CTO) for the donation of 2375 Euros towards the cost of the training camp.